Sonja Teri started her company, Poster Child Prints, back in 2009 with the idea of making artwork from up-and-coming artists more accessible to a broader audience. 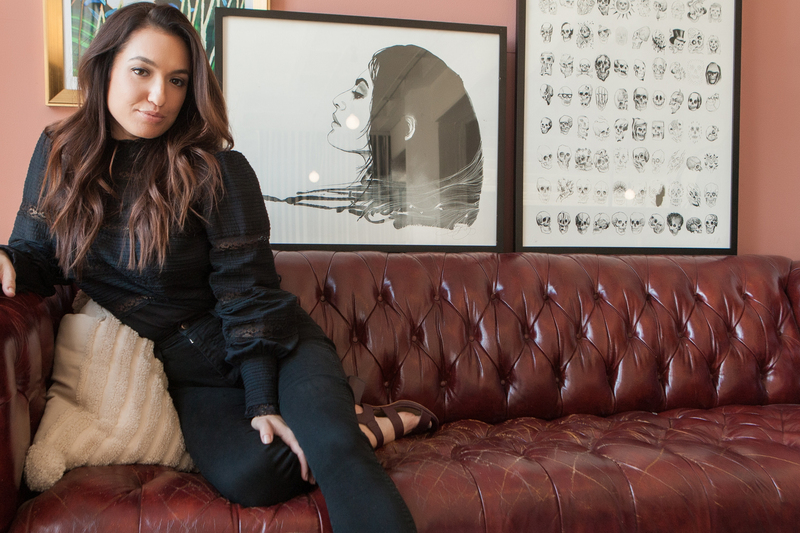 Since then, she has turned out a steady stream of dynamic collaborations along with high quality screen and giclee prints for collectors and cool-kids alike. What is Poster Child Prints? We started PCP to make art accessible to collectors of all stripes-from novice enthusiasts to established connoisseurs; with the goal of bringing good art into peoples lives. More than just buying a piece of art, you are purchasing a collectible that has value, will retain it, and will increase in value with time. I think people are intimidated when it comes to purchasing artwork – it can be intimidating and overwhelming. That’s why we work with artists to create pieces that are attainable. I want all kinds of art lovers – to feel like they can collect art that inspires and excites them. Our roster of artists genuinely inspires me, and I’m consistently blown away by the tremendous level of creativity and passion that each of them brings to every single project. I think of PCP as a bridge between artists and enthusiasts. When customers purchase a PCP print that they love, they become connected not just to the piece, but also to the process of creation, and the artist. How does being in LA or, more specifically, Downtown LA affect or inspire you? Downtown LA is inspiring on many levels. After living in LA for sixteen years, it’s the first sense of community I’ve felt. I love the activity and hectic nature of a city and all the history that comes along with it. 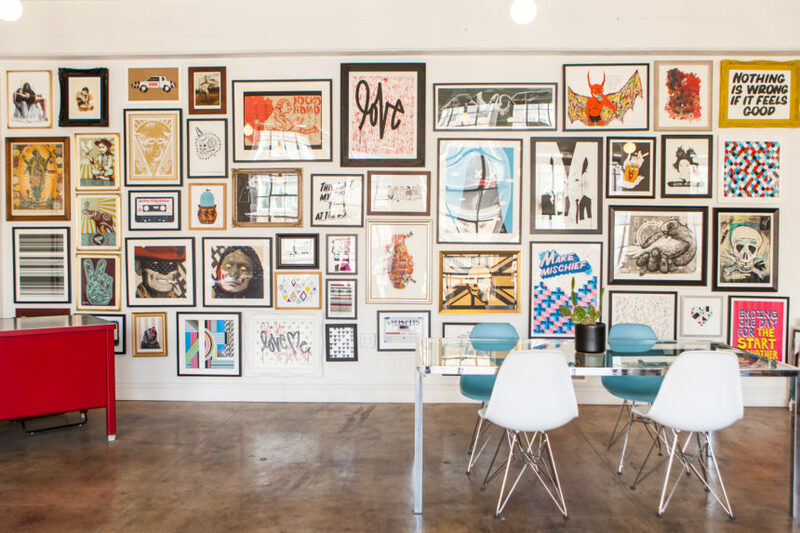 The fact that you can walk to a museum then get great coffee and visit an artists studio within 10 minutes from your place of business– just doesn’t happen anywhere else in Los Angeles. How does a collaboration with an artist begin? Most of our collaborations have begun organically. Everyone has either been a friend – or a friend of a friend (a couple of instagram finds in there as well). Who have you not worked with yet that you would love to? Oh gosh…the wish list is too long; the possibilities are endless. I want to add photographers to our roster. I like the idea of introducing our customers and fans to iconic photographers and making prints affordable with some legit, signed and numbered editions – that’s exciting to me. You work with artists from all over the world and from right here in LA. Does LA have an art scene that is specific to itself? Is it different than say, New York or Paris? Los Angeles has a highly diverse art-scene. LA seems not to take itself too seriously (in the best possible way). The city’s art scene is capable of having a sense of humor about it, which is refreshing in comparison to cities like NY or Paris. 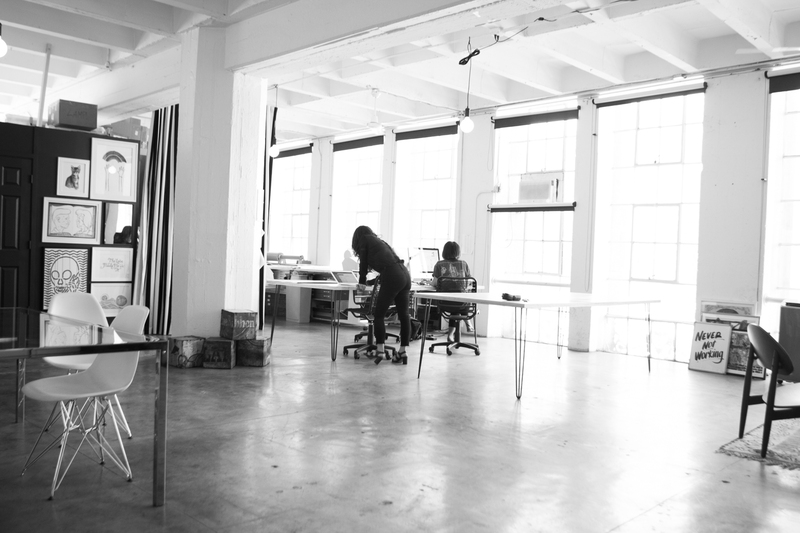 Why do you think LA is attracting so many creatives (outside of the film industry) right now? Artists, musicians, designers—what is behind that? I think there’s a sense of openness one feels in Los Angeles. For better or worse, it’s easy to get lost here. The city is ever expansive and has many layers, so the possibilities are limitless. It’s fascinating to have lived here for sixteen years and still discover a plethora of creative’s in nooks and crannies all over the city; it never ends. On a more superficial level, it’s a place where you can have a decent lifestyle and wellbeing. I think having access to nature and beauty contributes to the inspiring character of the city and creative’s desires to move here. I’m assuming PCP has access to a lot of new talent. Who is new on the scene that you are really excited about? I’m excited to work with a lot of new talent that I consider multi-tasked talent or super-human. An artist that has always drawn but also has another skill they are famous for. Tattoo artists like Nathan Kostechko, or Todd Selby, the photographer, and Hannah Hooper, the signer. It’s rewarding to be able to provide collectible artwork to people’s lives worldwide by allowing them to connect with a superhuman they admire. Our customer is one that has a taste for curiosity and an understanding of buying things of high quality. An individual that is willing to spend a little more to attain items of value and who is more profound than just wanting a “look” for a social media picture. Our fans tend to be ones that (still) appreciate books and magazines. Where is your go-to place to get away from it all? Mexico City! I recently spend a week there to “get inspired, ” and the city gave me more then I anticipated. It was colorful and vibrant with history. The amount of artwork in museums and art galleries is next level. What’s next for Sonja Teri? Hangstyle is another aspect of what we do at PCP. Hangstyle is the art of collecting and buying artwork and based on the idea “the whole is greater than the sum of its parts.” It’s the technique of hanging artwork in a gallery style method – and having it all look good. We work with clients on building their own story by finding their interests and representing them on the wall. We can also arrange an existing art collection to make it cohesive for the client. Sometimes artwork doesn’t live well on its own, but when placed next to other items of equal or lesser statue, it somehow works. We work directly with individuals and businesses locally and remotely. We’re also always educating our current customers on how to achieve these Hangstyles on their own.